Akin Duyar started his business career in the beginning of the early 90s as an IT expert but soon found out that he preferred the field of communications and marketing. After working for a local radio station in Berlin in the mid-90s he realized that there was a big potential for ethnic marketing, where he could use his marketing knowledge and creative skills combined with his bi-cultural background. Since that turning point, nearly all ethnic media projects in Germany were either built or consulted by him. His consultations included: a Turkish radio station, a Russian radio station, PAY-TV packages with international TV channels of big operators, and many others. 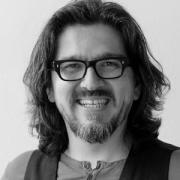 With this background and experiences, in 2002, he started his own advertising agency for intercultural marketing in Germany, along with his TV and film license company, which is selling Turkish TV and film content to the European market.